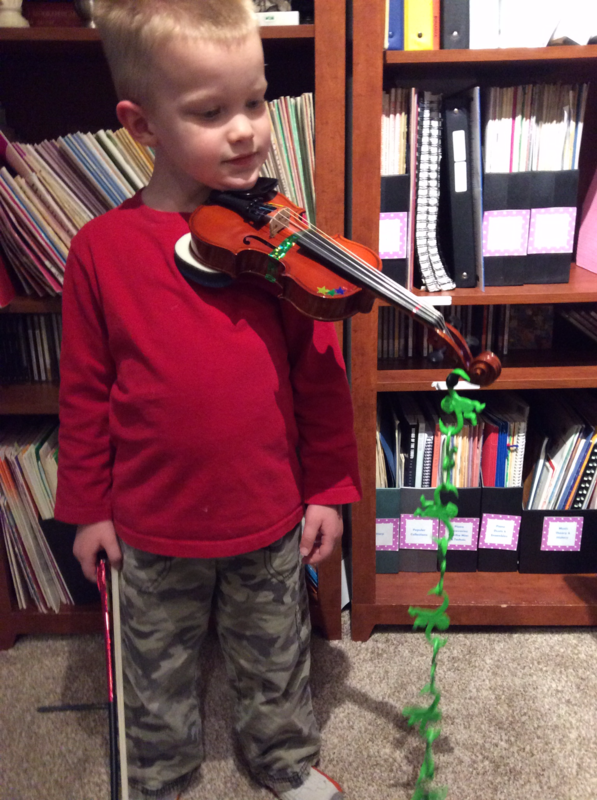 You are here: Home / Violin Teaching / Five Ways to Help a Beginner Hold their Violin up! 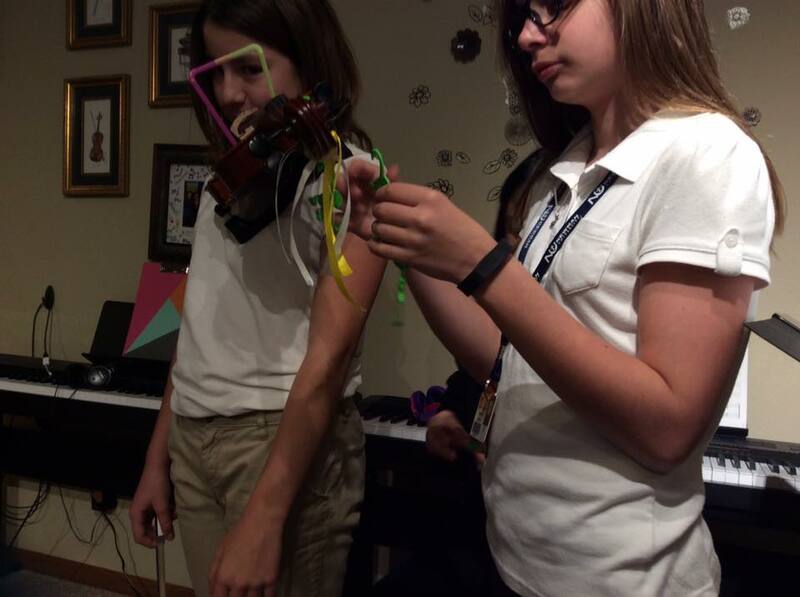 Teachers know that before “fingers” can start, the student must be able to hold his Violin with no support from the hand…I have beginner Violin Students do the following 5 steps to ensure success! I tell all my students to lean their head over like they are taking a little nap. This ensures the instrument will be on the shoulder instead of the middle of the chest! 1. Hold Violin with arms down in rest position. Shake teacher’s hand! 2. Hold Violin with arms down in playing position. Pat yourself on the back with violin arm. 3. Hold Violin with hand under body (in case it falls) and walk on a carpet surface 5 paces, turn around, then walk back. 4. Hold Violin with arms down while Ms. Judy hangs a barrel of monkeys from the scroll! 5. Hold Violin while unwrapping a small piece of candy. 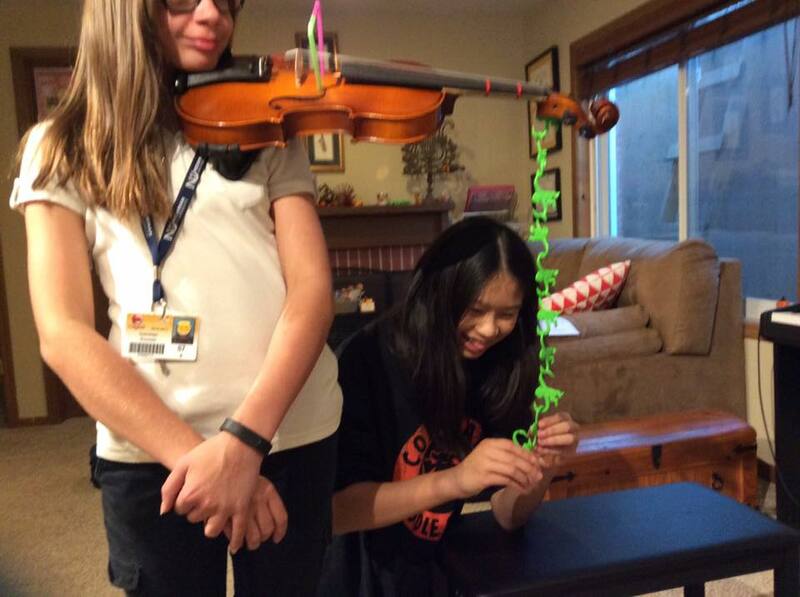 If you can hold your violin correctly the whole time, you get to eat the candy!